Stand out as one of the best-dressed! 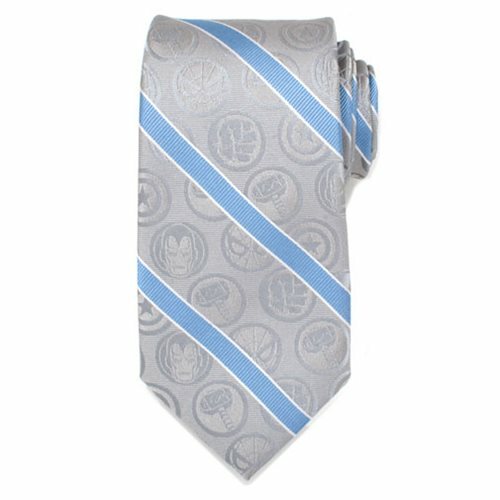 The Marvel Comics Gray and Blue Stripe Mens Silk Tie features an amazing striped pattern with the icons of your favorite Marvel Comics characters. The tie is a must have for Marvel Comics fans. The tie measures approximately 59-inches long x 3-inches wide. Ages 15 and up.